5610 Rod Holder with a 5608 clamp. 5610 Right Hand Quick Release 5610L Rod Holder Left Hand Release. Tite-Lok®’s unique open style rod holder. 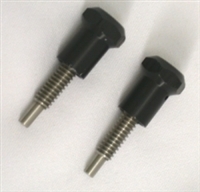 Spring Loaded Pull Pin for the 5710 Series of Rod Holders (2-Pack).